Today, food is an experience. Food is part of the manner tourists explore a new city and how business people impress one another. Social networks are filled with pictures of where friends are eating and what they are eating. Travelers today want to feel they are experiencing a place “like the locals.” They want to hang out with a local crowd and eat where they eat, rather than enjoy timeworn “tourist traps”. Many hotels are rising up to the challenge and have already changed their F&B strategies. Hotel dining rooms have been converted into chef restaurants, meant to strengthen the brand and draw customers. In the past, no foodie would have been caught dead in a hotel restaurant. Today, many research the trendiest, newest place and only then decide where to stay. The hotel provides the space, the chef delivers the experience: Many chefs and leading restaurant brands are opening restaurants in hotels. This type of cooperation allows each side to do what it does best: the hotel provides the location and its customer base and the chef brings his or her reputation and trendiness. We see this very often in both international and local markets. 2. 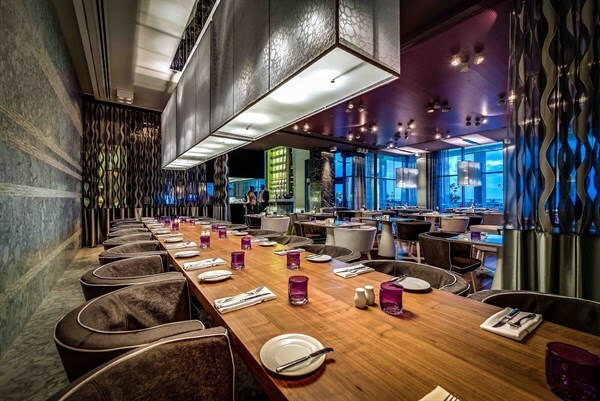 Hoteliers that open restaurants in their own establishments: The concept for the restaurant comes from in-depth knowledge of the hospitality business and expected service, as well as a deep understanding of the target market. 3. Restaurateurs that expand into the hotel business: Restaurants with an established reputation sometimes expand into other businesses. In this case, the hotel is based on the branding of the restaurant, and not vice versa. In all these types of cooperation, there is a co-dependence between restaurant and hotel. The restaurant provides service to hotel guests, and the hotel participates in marketing the restaurant. However, it is important to maintain a balance and differentiation. That is, to give guests the feeling that the restaurant and hotel are separate worlds with different “stories”. otherwise we get back to the old “dining room” concept. The end of the room service era? Almost every restaurant today has a take-out menu allowing them to compete with the traditional room service in hotels. Many hotels have adopted an “if you can’t beat them, join them” attitude. Instead of competing, they help guests order in. They gain customer satisfaction and still enable guests to eat in their rooms whenever they choose. Today you can find a whole lot of things in vending machines, from sandwiches and snacks to the less obvious cosmetics and electronic gadgets. 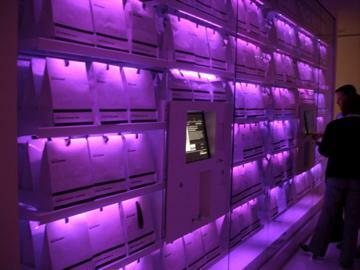 Hotels that place vending machines in their establishments give guests easy access to food throughout the day, without the hotel’s added cost of preparing and serving the food themselves. Traditionally, the lobby is where you would go into a hotel for coffee or a snack. Today, instead of the lobby restaurant, we see many hotels setting up bars where guests can purchase drinks or food and eat them in the hotel’s public space. This is the place where we see hotels being creative. I have seen coffee bars, as well as yogurt bars, chocolate bars, ice-cream bars and more. These bars are usually operated by outside vendors, and they allow hotels to give guests excellent service while enjoying the benefit of the specialization and expertise of the bars. Guests feel the hotel has provided them with the very best in a specific field. Imagine a chocolate bar operated by Godiva, or a coffee bar by Nespresso. Anyone in the hotel business knows it is a tough business to be in. However, if you do it right, you can gain business success while giving your guests a unique experience, atmosphere and service, that will make them remember the hotel and want to come back. The hospitality industry is driven by innovation. 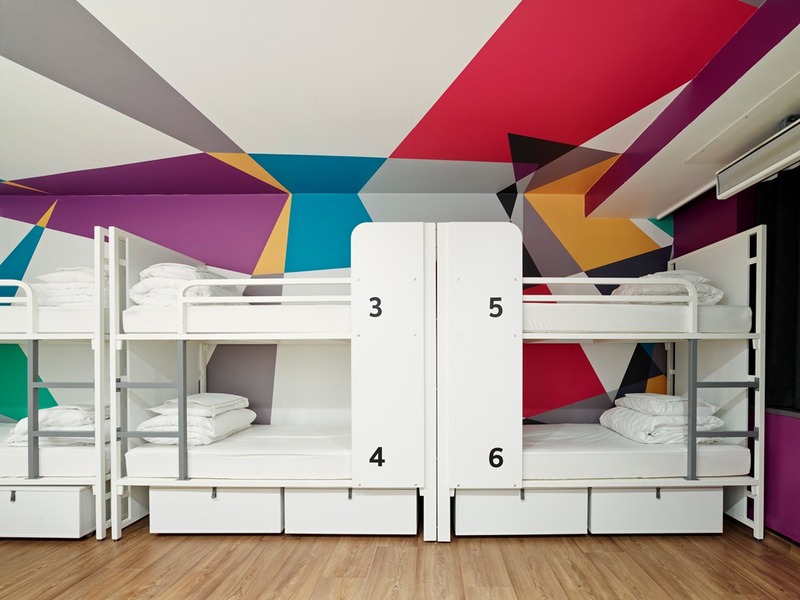 One of the exciting new trends changing our business is emerging in the low cost and hostel market sector. 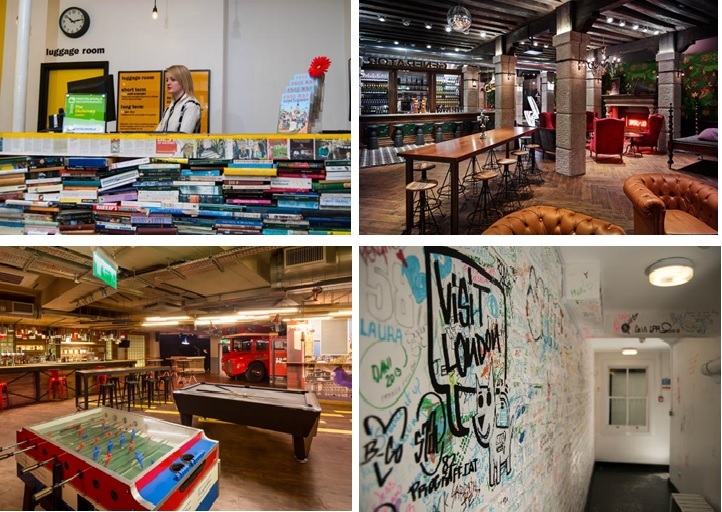 More and more hostels are offering a great hotel experience and creating dynamic concepts at exciting locations. In terms of target markets, poshtels target the demands of millennials, those born in the 80’s and 90’s. These young people have just recently become real adults and they have jobs and money that enable them to travel the world. The hospitality sector has begun to sit up and taken notice. The millennials live in a technological world, and they expect this technology to follow them everywhere. They expect great (and free!) Wi-Fi everywhere – in their cafés, at the bank and certainly in their hotels. They live in and through social networks, and tend to believe the information in these networks much more than the messages in the “traditional” media. When they stay at a hotel, they expect a social space where they can meet others like themselves. Even when traveling for business, you won’t find them cooped in a corner with their laptop – they prefer working in a public space that lets them experience the locale while they work. More than anything, these travelers are looking for an Experience. They will always prefer boutique hotels over large chains. But, they have a significant problem – they are still young, and usually cannot afford the type of luxury they think they “deserve”. To solve this dilemma, poshtels are being introduced. Poshtels are making their mark on the whole hospitality sector. They are forcing low and medium cost hotels to re-examine their pricing and the value they deliver to their guests. It’s not just about hotels being cheap. Millennials (and other customers) expect that even low budget hotels will invest in their guests. 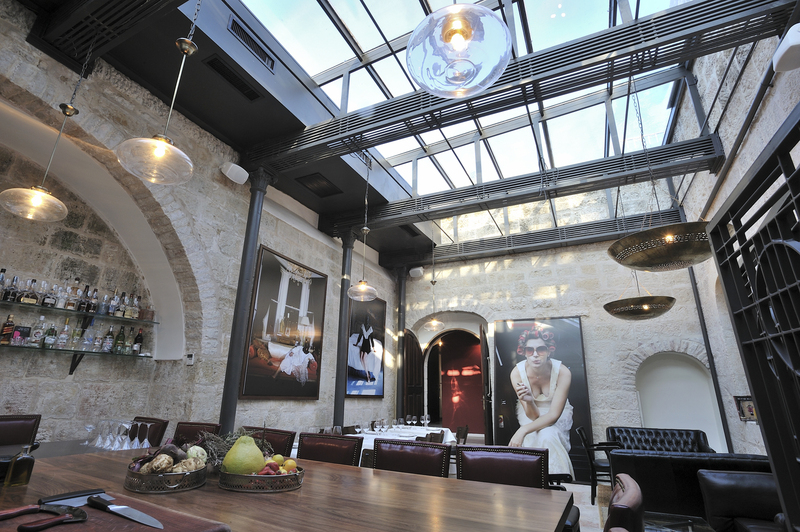 At Copeland, we have already brought poshtels to Israel, in a new project in Jerusalem called “The Post”. 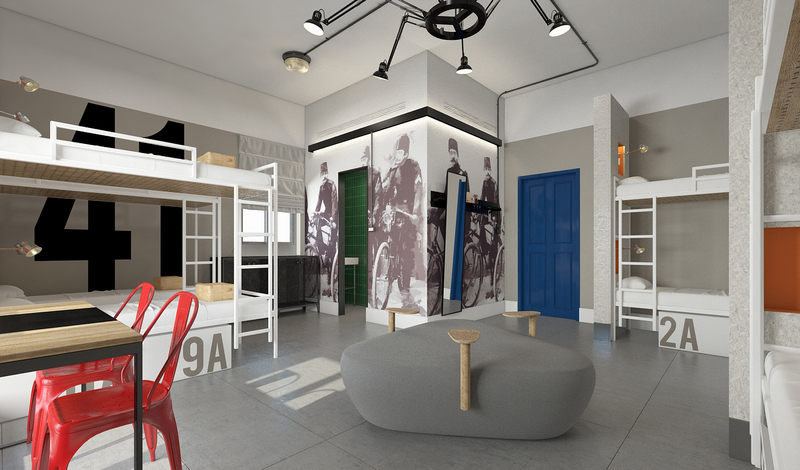 This will be a new poshtel that will emphasize the social experience for guests – a “social hostel concept”. This exciting project is being built right now in an iconic building in Jerusalem, the old postal building, which also gives the poshtel its name. I believe you’ll be hearing a lot more about poshtels. 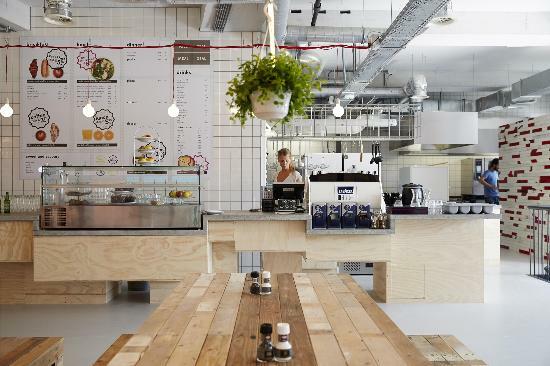 Soon, I’ll also be able to write about two more projects in the center of Israel that are also inspired by the “upmarket hostel” idea. At Copeland, we develop hotel concepts with our clients. These can be for existing hotels that want to improve their business results, or for new hotels that want to build a strategy for success. Whichever the case, I always give my clients the same message: only in-depth knowledge of your target market will lead to creating the right hospitality experience for their market. Great designs and attractive prices on their own are not enough to draw guests to a hotel. Today’s guests take these for granted. A hotel that wants to succeed must create an experience that guest will take with them. They must offer an experience inspired by its local setting, and allow guests to feel like a local, even if their stay only lasts a night or two. They should interact with the local crowd and experience the atmosphere. This is what they will remember and make them appreciate their stay, and also tell others about how great it was. We all know that there is nothing like a satisfied customer to boost our marketing efforts. Lately, I have been inspired by several hotels I visited in Europe. Their common denominator is that they were all designed by well-known designers. I feel this really “completes” the hotel. I would like to congratulate the brave hoteliers that created these hotels. They believed in themselves, in their choice of designer, and they let them take a free hand and think of no limits with their designs. That being said, every design you see here not only looks good, but it also completes the concept of the hotel in creating a unique guest experience. All four of the examples you’ll see here are extraordinary. Das Stue Hotel in Berlin, next to the zoo and Tiergarden Park, lets you glimpse exotic animals through their window as you sit in perfectly designed and pampering rooms designed by the famous Spanish designer Patricia Urquiola . If that is not enough, you can also enjoy a 25 course meal in a Michelin star restaurant! The hotel is located in a restored building from the 1930’s that used to house the Danish Embassy. The outside retains its “proper” appearance, while the interior design received a completely modern twist: geometric patterns on the walls, statues of giraffes and monkeys made from neon wiring, and artistic photography, all combined to create an amazing look. 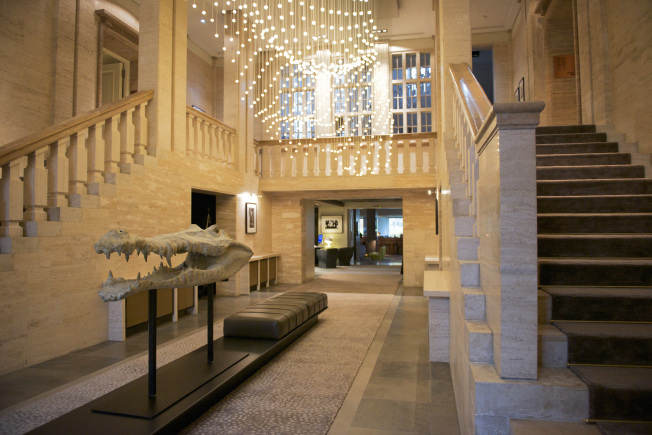 As soon as you enter the lobby, you are greeted by an alligator skull reminiscent of a nature museum exhibit. A climb up the marble staircase leads to the guest bedrooms. 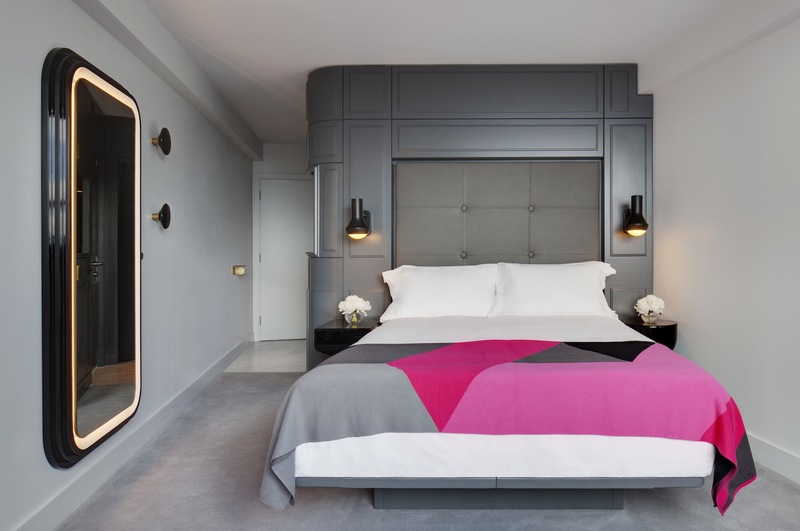 The hotel has 79 rooms and suites, each distinctly designed using luxurious and interesting textiles that are Urquiola’s trademark.The walls are covered with framed photographs. The rooms are not large, but have a great view. They offer a wonderful view of the neighboring park and zoo. If you’re lucky you can look directly into the ostrich enclosure.The hotel has a spa and two restaurants. A simple word to the concierge will get you set up in a yoga class or group jog in the park, as well as with bike rentals and picnic baskets for guests. This is a real boutique hotel with a twist that gives a hospitality experience one doesn’t soon forget. 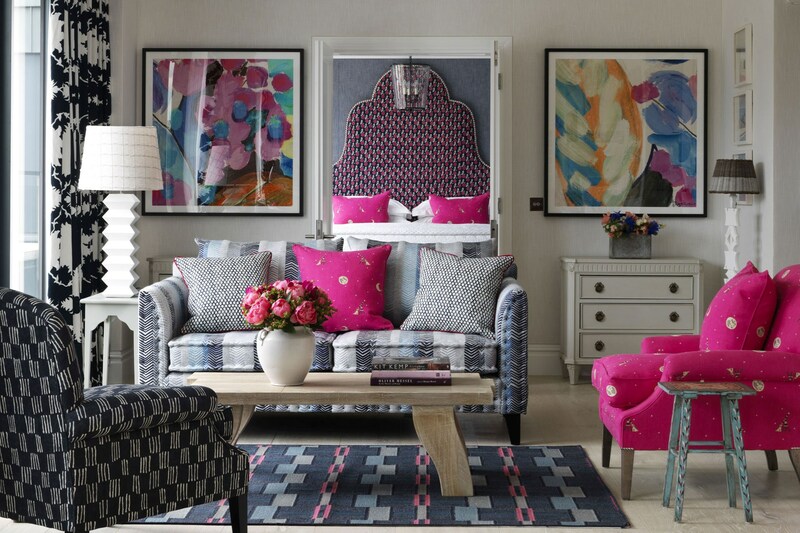 The Ham Yard hotel in London is a hotel that certainly leaves its mark. 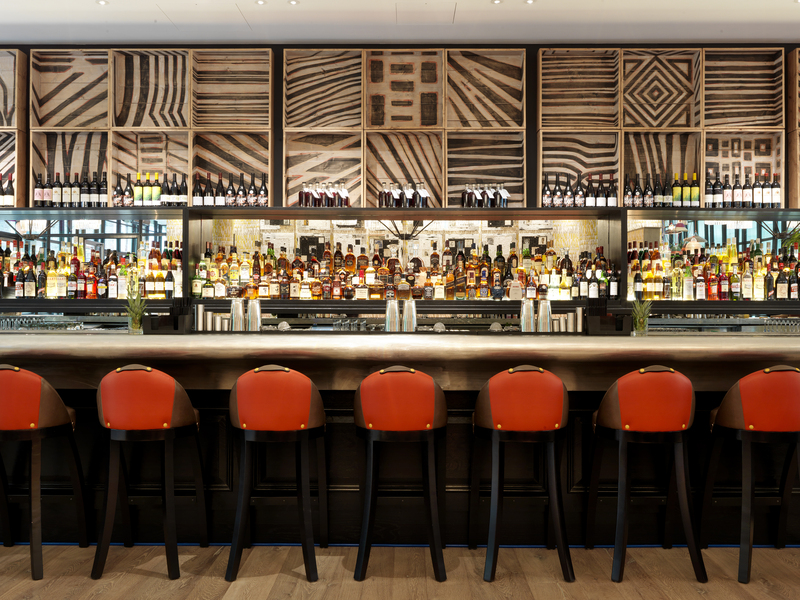 The atmosphere is hard to define and even harder to ignore.The hotel is part of the Firmdale chain, and owners Kit and Tim Kemp have another eight establishments around London. 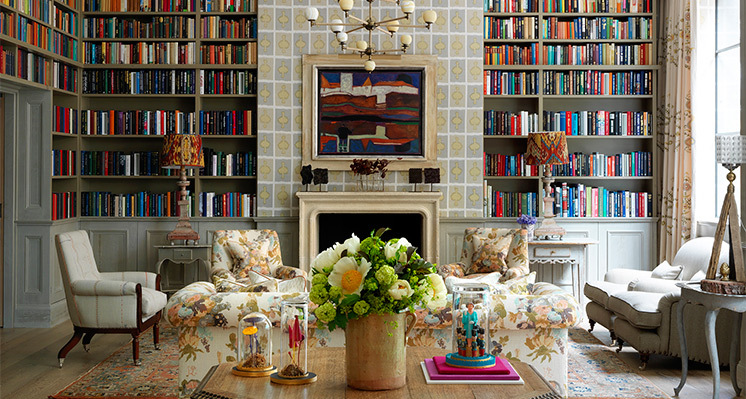 Kit Kemp, who does all interior design in the chain, succeeded in creating a look that is completely her own. In her hotels’ open spaces, Kemp creates an atmosphere that is warm and inviting with attention given to every little detail. She is not afraid to use strong colors, crazy patterns and styles and shapes that anyone else would never use together. But, somehow, it all works together to create a look that is never repeated but is instantly recognizable as the Kit Kemp look. The hotel’s 96 guest bedrooms are also individually designed, with no repetition or even recurring motifs. The walls are lined with fabrics Kemp designs herself, and many art objects are placed in the rooms and public spaces. The eclectic look combines Indian drawings, recycled plastic bottle lamps, pop art and a variety of other styles that create a fun, colorful and totally unique atmosphere. 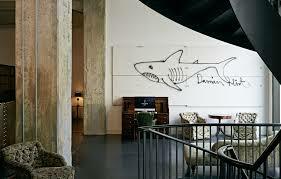 The huge Bauhaus building of the Soho House in Berlin incorporates all of the city’s modern history. It was built in the 1920’s as a department store, owned by a Jewish family. In 1937 the Hitlerjugend youth movement took control of the building, and after the war it housed the archives of the communist party. 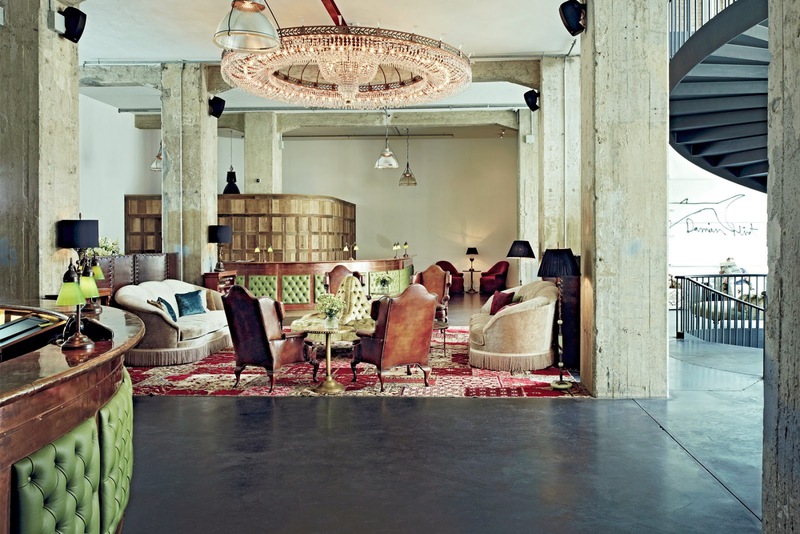 Today, Soho House is a hotel and members club and a sign of the gentrification of East Berlin’s Mitte district. Entrance to Soho House Berlin. Clean look with exposed concrete walls. 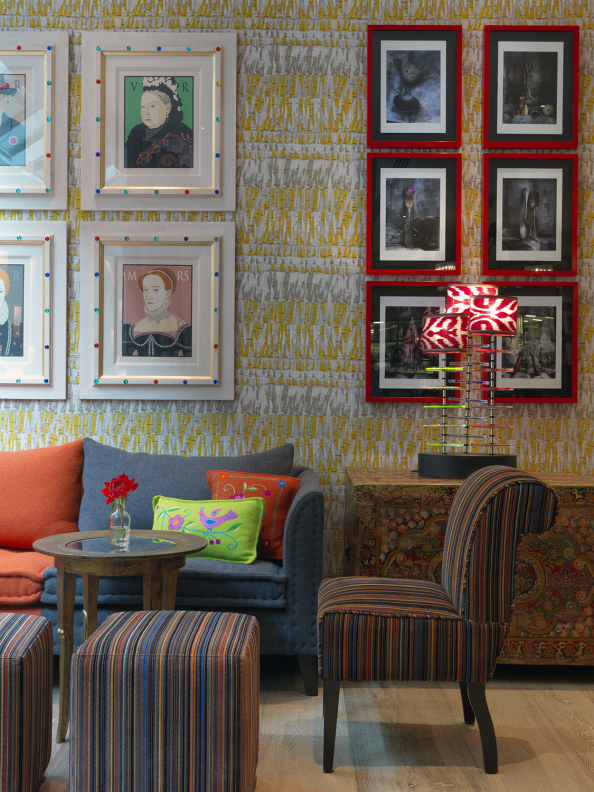 The hotel lobby has kept the “clean” communist look, with exposed concrete beams and white walls covered with graffiti art by Damien Hirst. The atmosphere is one of laid back luxury, together with odd objects strategically placed to bring a smile. The service is also informal. The staff is very attentive and very friendly. The fact that the building is both a hotel and a members club gives hotel guests a chance to come into contact with the city’s “innest” crowd, without even leaving the lobby. Sea Containers hotel (part of the Mondrian chain) in London is near the Thames River, in a building that formerly housed a shipping company. Designer Tom Dixon, in his first hotel project, drew inspiration from the building’s past and combined it with new and surprising elements. 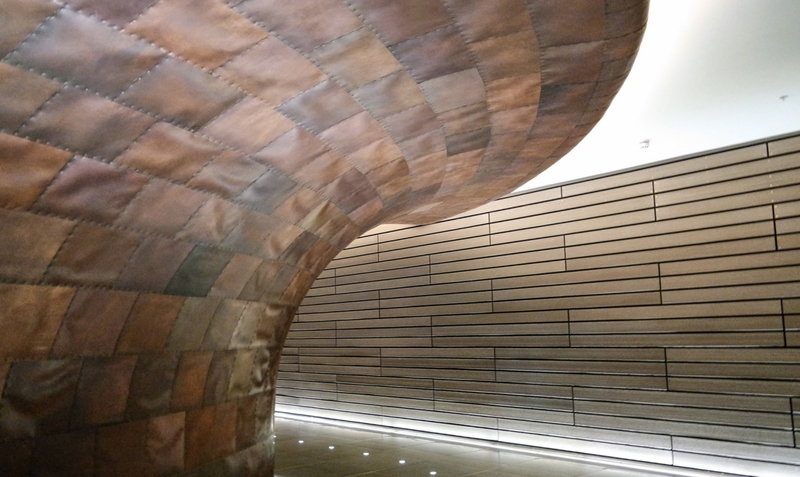 The design draws a lot from the world of ships and the ocean, while still being true to Dixon’s signature look – warm colors, combined with copper and metal, extraordinary lighting and touches of extravagant luxury (like gilded faucets in the lobby bathroom). The atmosphere resembles a night club, while the copper front desk looks like something taken off a ship. Lighting in the floor leads guests further into the hotel to the bar and restaurant. The bar was inspired in its design by old steam boats. The green walls and upholstered sofas give a feeling of a gentleman’s club. Dixon went all out in the hotel’s rooftop bar, with gold chairs and purple art deco tables. The spa is designed with 70’s glam-rock style, and the atmosphere is one of decadent indulgence rather than health and beauty like most spas these days. The soundtrack playing includes David Bowie songs and the spa menu even has ice cream and champagne. The guest bedrooms are small, but very luxurious, with a great view of the river. **All pictures in this article are from the hotel websites. I invite you all to read the latest from Copeland in our new Newsletter that was just released! In my previous newsletters, I have written quite a bit about how large international companies (Intercontinental, Marriott etc.) are returning to the Israeli market through their lifestyle brands. 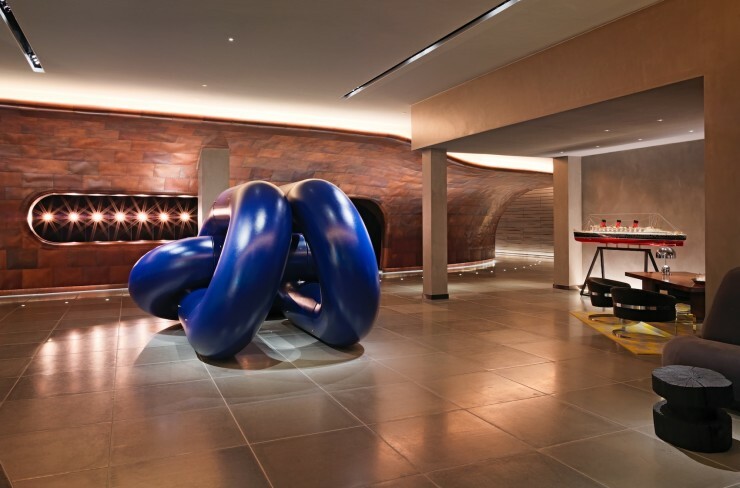 One of the best examples for this is Indigo hotel (you can find the article here). Another brand taking its first steps in Israel is AC Marriott. This brand is a result of cooperation between Marriott and a Spanish lifestyle company that has been opening many hotels worldwide. In Israel, Marriott has teamed with entrepreneur Reuvan El​ah​ and Issta hotels, to create AC Marriott Herzeliya Pituach, scheduled to open its doors to its first guests by the end of the year. I am proud to say that I have been involved in this project for over two years. I have known Reuven Ella for more than 15 years, ever since I was VP Marketing of Tamares Hotels, the management firm that also runs Daniel Hotel (were Ella is co-owner). When I opened my firm in 2010, one of my first projects was creating a concept for Ella Hotel’s Cramim Hotel, before they entered into agreement with Isrotel Hotels. My loyal readers may remember that you were one of the first to hear about this project. Copeland entered the Herzeliya AC project by creating the link with Marriott and assisting negotiations on the agreement that was signed in June 2014. 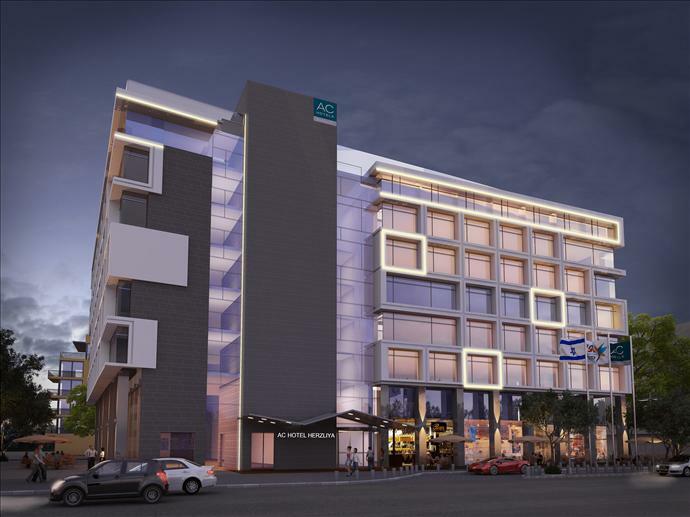 We continue to assist owners in adapting the requirements and standards of the AC brand to the Israeli market, to the unique concept of this hotel, and to its location.Copeland is taking part in aspects of creating this hotel, including design and acquisition, as well as creating a management structure and assisting in bringing in a GM. We are now working together on a pre-opening budget and a first year budget. 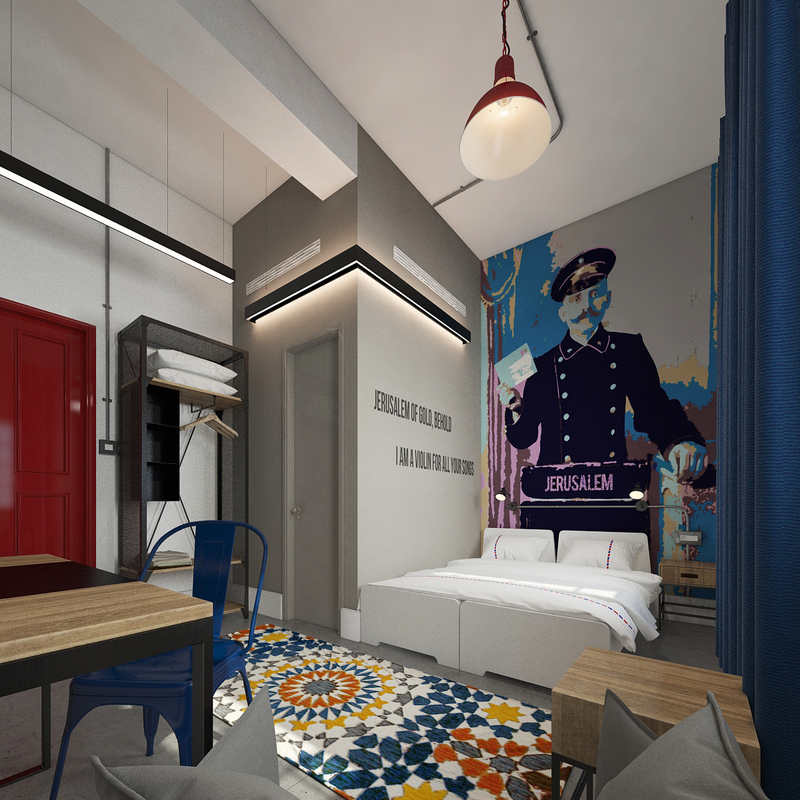 Copeland is also involved in the branding process of the hotel, one which has to meet the standards of the international brand, but still give the Israeli hotel a unique personality. We are certainly taking into account the excellent location in Herzeliya’s business park that appeals to the business sector, together with the proximity to the beach and promenade that will appeal to many tourists. The branding takes into account every aspect of the guest experience – not just guest rooms, but also public spaces, including a lounge, bar, restaurant, spa and more surprises to come. All these points need to “speak the same language” and present the same image to guests. 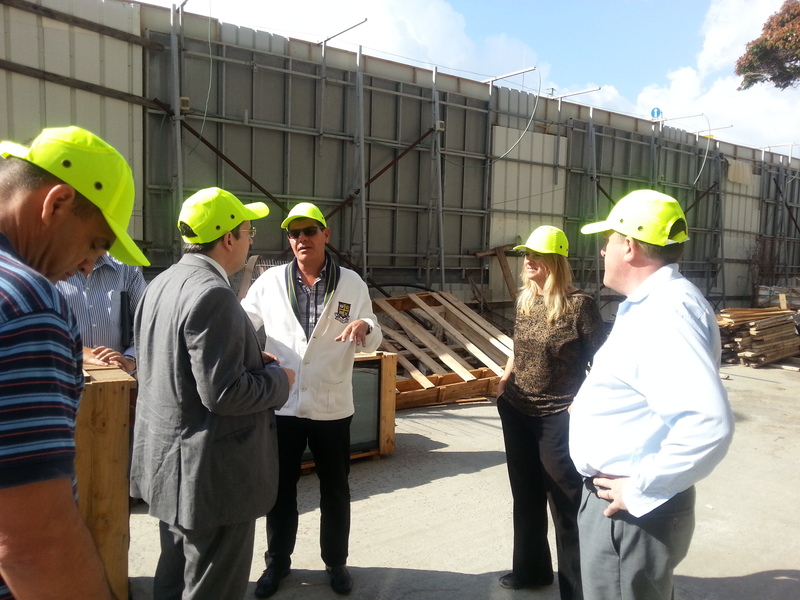 The hotel’s architect is Rani Ziss, and Dana Oberson is in charge of interior design. We will continue to update you about this project, soon to be an excellent addition to the local hotel market. Amsterdam has long maintained its status as one of the most popular tourist destinations in the world. The city’s cultural and culinary scenes, the blend of many peoples and tastes, together with the fact that the surprisingly small city is very easy to navigate, join to maintain its sought after status. 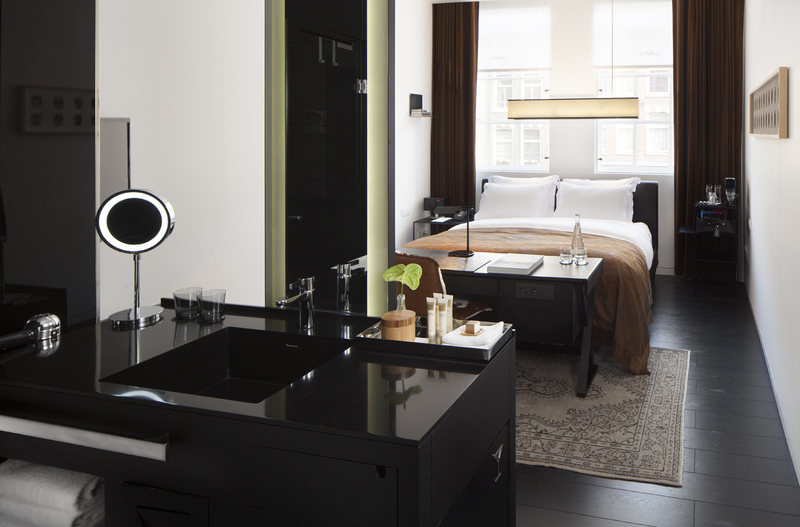 Lately, we are seeing a real boom in the city’s hotel market, and of course we are happy to share with you our favorite new hotels in Amsterdam. 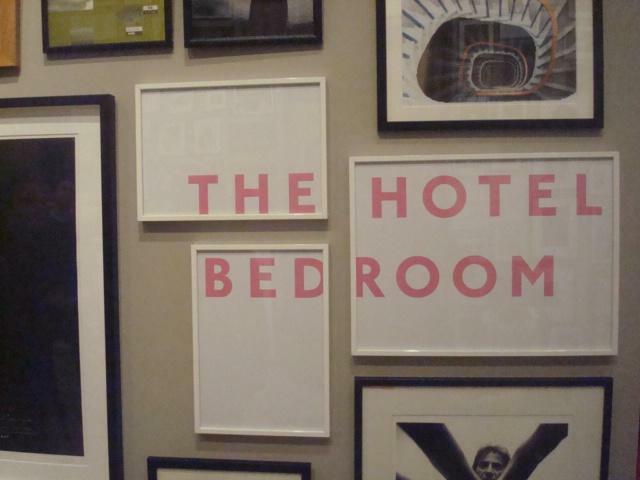 These hotels seemingly do not have much in common. One is a designed boutique hotel, another a student hotel for budget travelers and the third is the announcement of the W brand opening a hotel in the city. 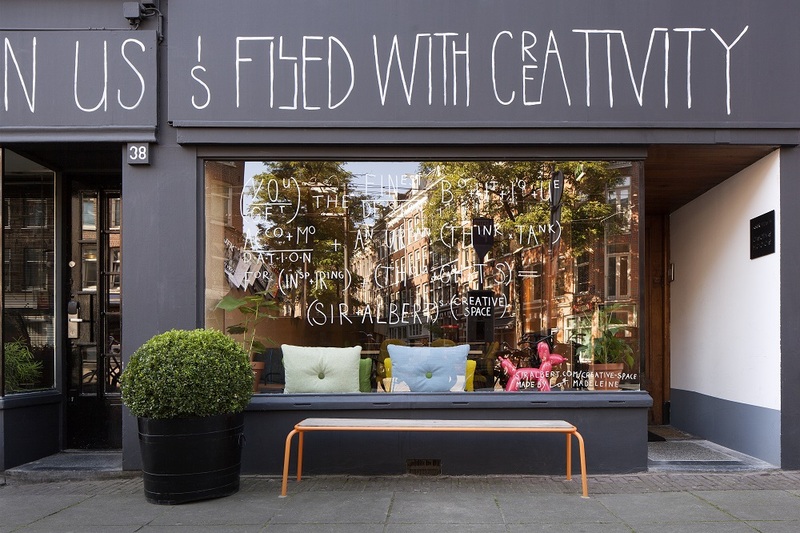 There are some common denominators: all three are targeting the Y generation market, they are brands that do not take themselves too seriously and have invested in a young, “hipster” design. However, a closer inspection reveals that the hotels are trying to appeal to guests of all ages, including business travelers who do not wish to stay at a generic chain hotel. Many guests today want to get to know the “real” city, to feel like they are hanging out with the local crowd and eating and drinking in the “right” places. 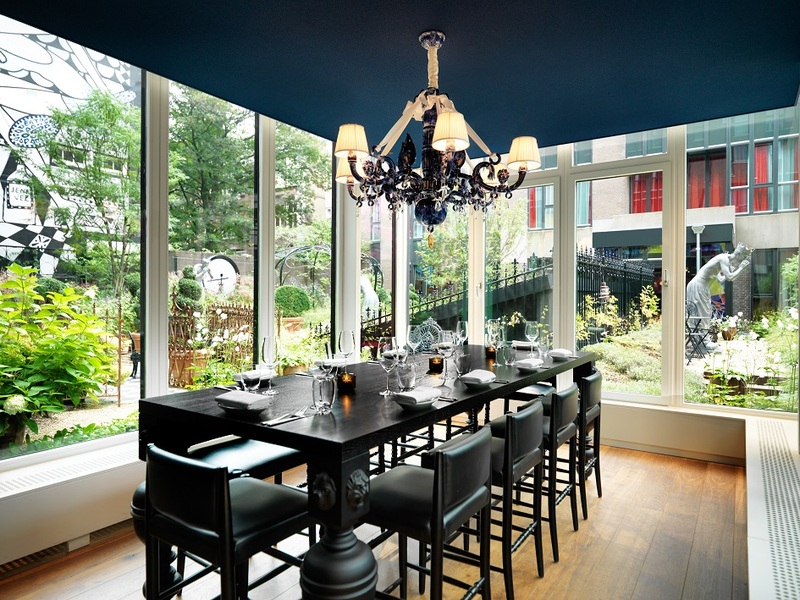 This feeling is shared by all three hotels we will tell you about – the promise they make that if you pick them, you will feel like part of the Amsterdam scene. Sir Albert hotel is located in a building that previously served as a diamond factory, close to the galleries, boutiques and bars of the fashionable De Piip area. The story of the hotel is built around the fictional character of Sir Albert, the modern aristocrat that invites guests to stay at his family estate. The interior design is in a style much sought after but rarely achieved – a coherent and unique look that is based on various items Sir Albert collected in his travels around the globe. Italian furniture is mixed with Dutch artwork and many other interesting pieces. The hotel has a great sushi restaurant called Izakaya, and a lively bar. Much thought to design was given to the public spaces where one can see and be seen. The guests sitting in the restaurant or library-lounge on the ground floor can see each other through broad doorways and glass partitions, and also have a view of the street with its pedestrian and bicycle traffic. 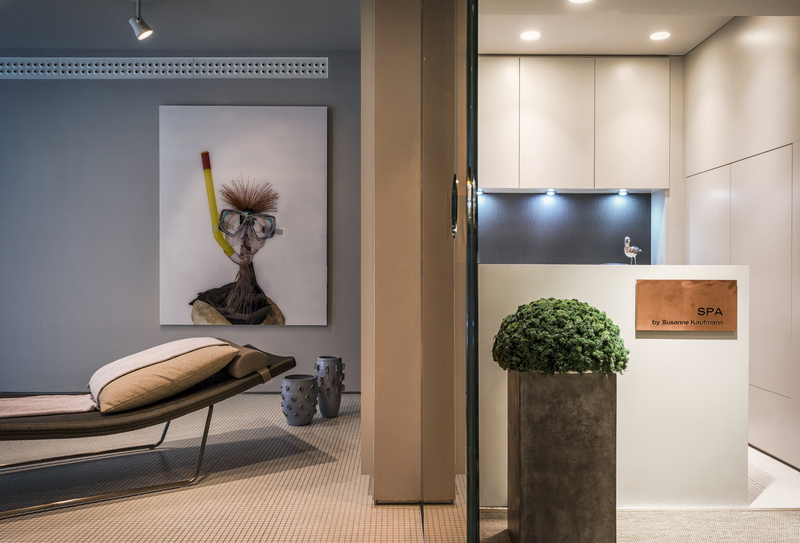 The ground floor is very connected to the street and blends the distinctions between outdoors and indoors. The Israeli link: This cosmopolitan hotel is owned by Liran Weizmann, owner of one of the most successful hotel groups in Germany. It was designed by Tel Aviv architects Bernowitz and Kronenberg, and Yossi Eliyaho is responsible for the hotel’s Asian restaurant. 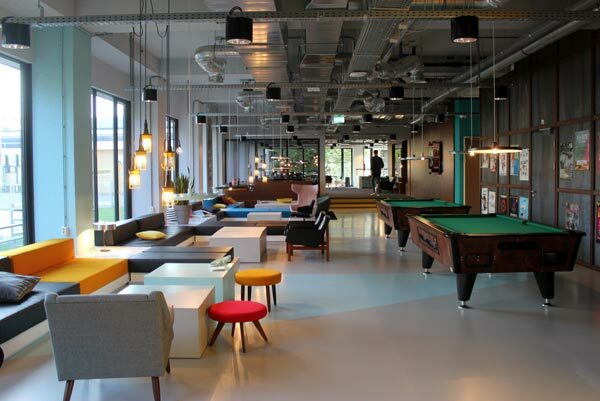 The name Student Hotel is very descriptive of the hotel’s main target market – foreign students in Amsterdam, from all over the world. The hotel offers special rates for longer and medium length stays , and has everything a student may need: plain clean rooms that still have sophisticated design, many work and meeting corners, free Wi-Fi service, kitchens for the free use of guests, a café-bistro open almost all day long, and even social events that making meeting new friends a whole lot easier. In fact, it’s interesting to note that most of the hotel’s guests are not really students. They are tourists and business travelers that realize the advantages of this hotel: nice, comfortable design, spacious public spaces, work corners, comfortable rates and proximity to public transportation operating 24 hours a day. 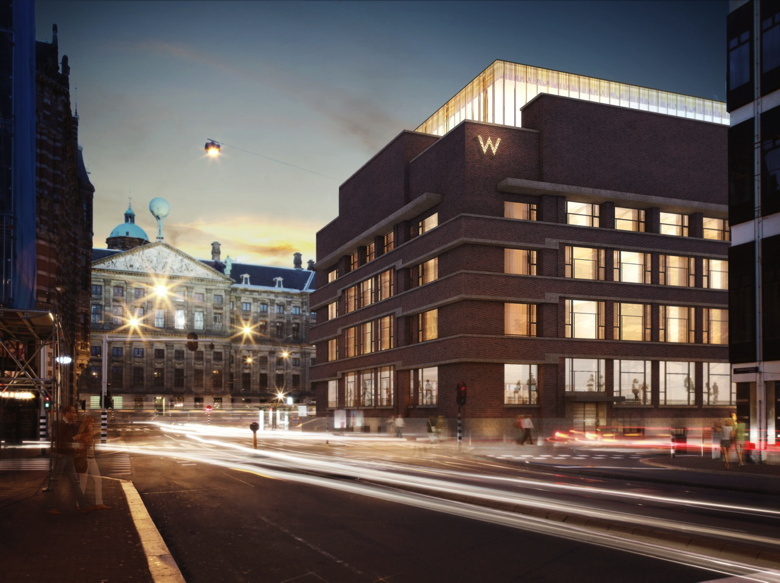 The W Amsterdam is scheduled to open in the fall of this year in an excellent location at the heart of the city: near Dam square, behind the Royal Palace and a short walking distance from the canals area with restaurants and vibrant night life. The hotel will be quite large, with 169 rooms, 10 suites and one “Extreme Wow” suite ( W brand speak for “presidential suite”…). It will have a large roof-top lounge, restaurant and bar overlooking Dam square and the city lights. The service in the hotel will be in W’s Whatever/Whenever® style: a promise to supply guests with whatever they want, whenever they want it (as long as its legal). The hotel will try to let its guest sample everything that is hot and stylish at the moment, in terms of design, fashion and music.